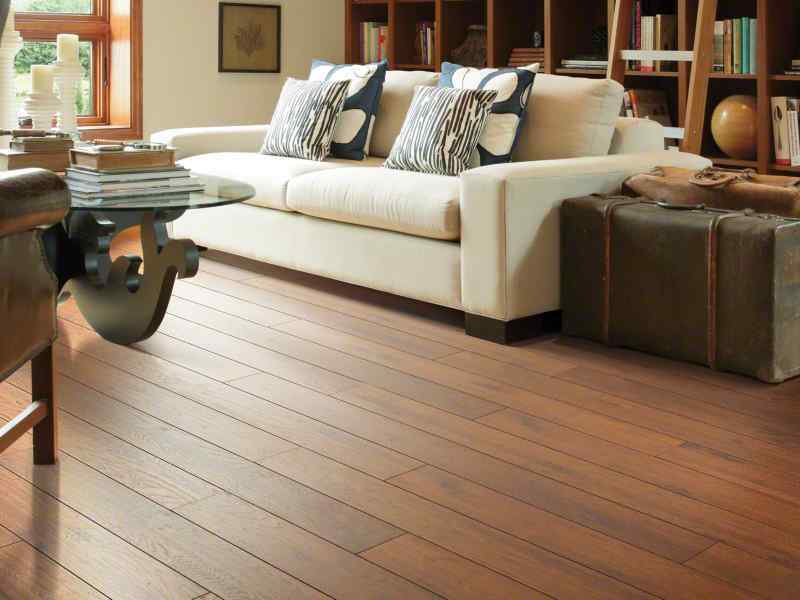 Choosing the right flooring for your home is indeed no easy task. With a variety of flooring options available, you are probably confused about which to install in your home right now. 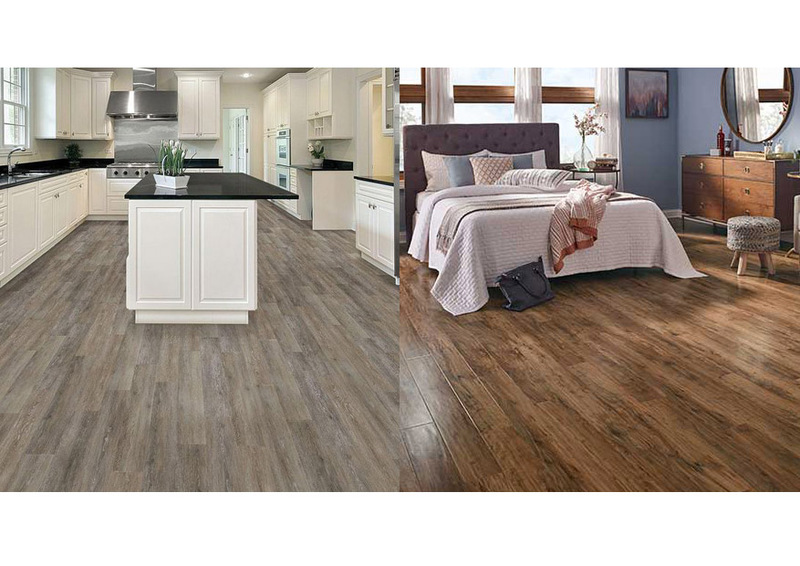 In prior articles, we discussed about the differences between vinyl and linoleum, as well as the comparisons between laminate and wood floors. This time, we are going to discuss about the comparisons between vinyl planks and laminate flooring. 1 What is Vinyl? What are Luxury Vinyl Planks? What is Vinyl? What are Luxury Vinyl Planks? Vinyl is a synthetic plastic material. It is a synthetic resin that consists of polyvinyl chloride (PVC) or a related polymer. It was invented to be a cheap yet durable industry material. It is now used for various purposes, especially for covering materials such as wallpapers and floors. Cheap sheet vinyl floors are available on the market; these are vinyl sheets that use cushion backs and are glued directly to the subfloor. However, luxury vinyl planks are very different from the regular vinyl floors because they have been designed to look like real wood planks in various aspects, from color to species. Their surface textures are often scraped or embossed to dramatically increase the realism. Just like wood floors, you can install luxury vinyl planks in sophisticated ways such as diagonally or in a brick-like pattern. Laminate flooring is a multi-layer synthetic flooring product that involves a lamination process to fuse the layers together – hence the name. It is also called floating wood tile flooring in the United States. It simulates wood or stone by using a photograph layer, which is placed behind a transparent wear layer. Meanwhile, the core is usually a layer of melamine resin or fiber board materials. Some brands may contain an antimicrobial resin, making the floors more hygienic. In terms of appearance, you can say that both vinyl planks and laminate floors are very good looking. They may look very similar to wood. Vinyl planks mimic wood by imitating the colors and even the textures as well. On the other hand, laminate floors imitate wood by using photograph layers. Thus, while they may look similar, vinyl planks may feel slightly more similar to wood when touched in comparison with laminate floors. However, the difference is perhaps not very noticeable. For sure, both options appear modern and contemporary. Both options are also very easy to install. Both vinyl planks and laminate floors can be installed by yourself. You probably won’t need to nail or glue any thing, but you can use some glue if you want to make sure that the floors won’t move. If you choose for laminate flooring, be careful with the product you choose because some laminate floors have been found to produce formaldehyde emissions, a hazardous carcinogen. You may want to avoid using laminate flooring especially if there are small children in the home. Vinyl planks, on the other hand, have very little impact to the indoor air quality. Interestingly, vinyl planks often have longer lifetime than laminate floors. Vinyl planks can last for averagely 20 years, especially if maintained properly. Such long lifespan is possible because of the synthetic, durable material in the first place. On the other hand, laminate floors can only last up to 10 years. Longer than that, the wear layer has probably been completely diminished and the photograph layer may have started to get scraped. Therefore, it is not surprising that vinyl planks usually have a longer warranty too than laminate floors. Vinyl planks are usually warrantied for at least 15 years, whereas laminate floors are usually warrantied for 5 – 10 years. Nevertheless, in terms of impact resistance and resilience against scratches, both options are very good. They can withstand impacts to a certain level, though they are obviously not as strong as hardwood. Both are better than hardwood in terms of scratch resilience. Vinyl is like plastic that is not easy to scratch, whereas laminate’s wear layer is a decent protection against scratches. In terms of moisture tolerance, vinyl planks have a better edge than laminate floors. Since they are basically plastic, vinyl planks are 100% waterproof. They do not get affected significantly by moisture. They do not require sealing, and can be used in wet areas such as the bathroom. On the other hand, laminate flooring is susceptible to moisture. It can be implemented for a lightly used bathroom, though, but requires proper sealing. If not sealed, water and moisture can penetrate through tiny gaps and pores and gradually cause damage. Vinyl planks and laminate floors are generally available in a similar price range. Depending on its size, color, and quality, laminate floors can be in the same price range as vinyl planks or higher. High-quality laminate floors usually have moderate resale value. Meanwhile, vinyl planks can be less expensive than high-end laminate models, and offer high resale value. In general, although the two options are available in a similar price range, vinyl planks seem to be a better option than laminate floors. Vinyl planks are able to mimic the appearance and texture of wood slightly better than laminate floors. Vinyl planks are also able to last for a longer time and usually come with a longer warranty. In addition, vinyl planks are completely waterproof, whereas laminate floors are not suitable for a moist environment especially without sealing. 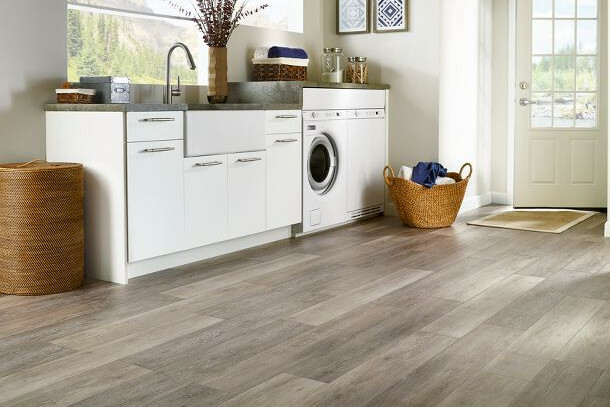 Finally, vinyl planks seem to be a healthier choice because they don’t cause any emission like laminate floors do.